The win and automatic qualification was made even sweeter after PNG failed to qualify for the previous edition of ICC Under 19 Cricket World Cup. 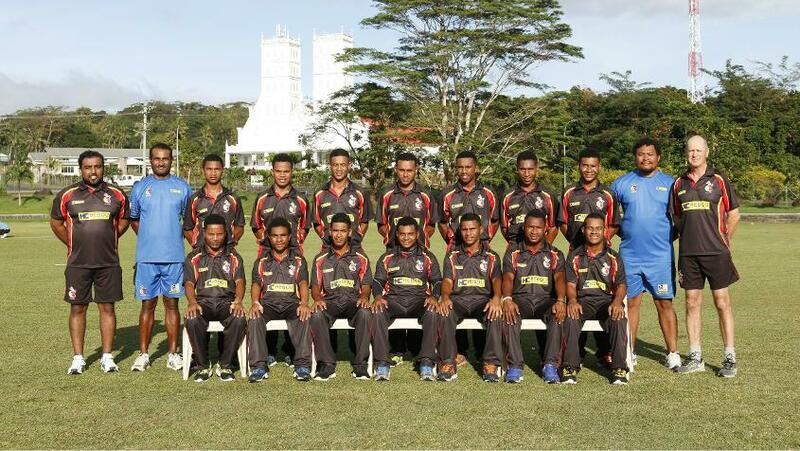 The Papua New Guinea Garamuts have qualified for their eighth ICC Under 19 Cricket World Cup and remain undefeated at the 2018 ICC Under 19 Cricket World Cup – East Asia Pacific Qualifier 2017 in Samoa. 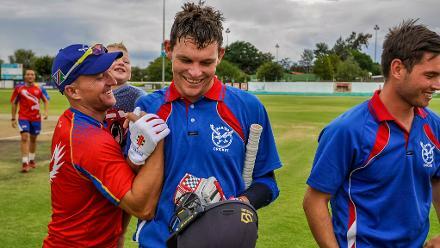 Needing the win the secure their position in New Zealand next year, the next generation of PNG stars pulled together another strong team performance to beat Samoa by eight wickets. The win and automatic qualification was made even sweeter after PNG failed to qualify for the previous edition of ICC Under 19 Cricket World Cup when they lost to Fiji in qualification. Samoa were looking to get their second win of the tournament but found themselves up against a team in hot form and with a clear goal and were no match for the Garamuts. Despite a promising start with the bat, once the first wicket fell Samoa were in trouble with only two batters making it to double figures. PNG may well have been chasing a considerably smaller total if they had not given Samoa 35 extras in a total of just 89. Medium pacer and player of the match Leke Morea (3/10 off 7 overs) was unplayable with the ball while Ovia Sam (3/24 off 9.4 overs) also chipped in with three wickets. PNG’s opening batters then set about knocking the total off in short time with a 72-run opening stand between Simon Atai (35 off 44) and Igo Mahuru (31* off 50). A couple of late wickets were small compensation for the Samoan bowlers who have worked hard throughout the tournament but in the end PNG cruised to victory in just the 20th over. PNG captain Vagi Karaho was elated after the match and with news of their qualification quickly filtering back home, it was clear just how much it meant for these young Garamuts to earn their place back in the World Cup. “It’s a really big opportunity for us to play in the World Cup. The boys are very proud, we are feeling very proud for our country,” said Karaho after the match. In today’s other game, Fiji bounced back from their previous losses to produce a much-improved performance, beating Vanuatu by 73 runs. Fiji’s batters made good use of their decision to bat first, posting their best score of the tournament so far. Opener Rollie Marika (33 from 63 balls) was the top scorer in the innings of 156 with good support from captain Tuwai Yabaki (31 from 33 balls) and Petero Cabebula (28 off 26 balls). Spinners again did most of the damage for Vanuatu with Stephane Sandy (3/35 off 10) and Williamsing Nalisa (3/47 off 6) both picking up three wickets. Fiji’s bowlers then backed up the batting performance proving too quick for the young Vanuatu batters. Opening bowler Jack Charters (4/24 off 8.2) picked up his second player of the match award for his four wickets. Fiji go into the final day’s play sitting below Vanuatu on net run rate and needing a big win over Samoa to finish in second place. Fiji won the previous East Asia-Pacific Qualifier but suffered a shock loss to Samoa earlier in the tournament, giving the Samoans their first ever victory at under 19 international level. The last day’s play in Apia sees home side Samoa take on Fiji while PNG will be looking for a tournament clean sweep when they play Vanuatu.